Cheets' Tweaks: So I guess it's just me. 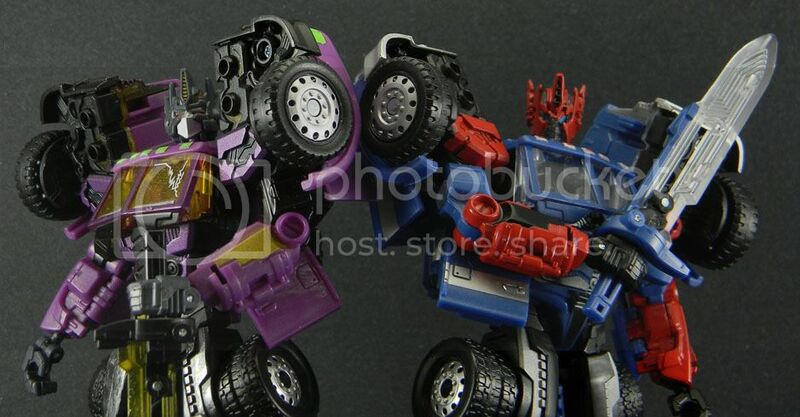 Shattered Glass Optimus Prime and Ultra Magnus I heart the hell outta these toys. 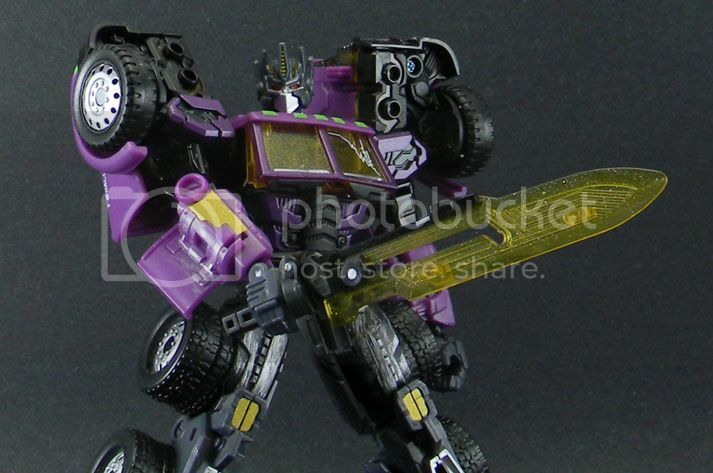 Most people I've seen either actively dislike these two Botcon exclusives or are very apathetic. Not I, my friends. I love this mold, diminutiveness notwithstanding. I mean yeah, they look all puny next to any other Deluxe figure but alone they look totally badass. I liked this mold before but I swear it was made to be evil! All the intricate greebles and sharp lines are less heroic and more menacing. Especially Optimus. Those dark colors and that AWESOME looking sword just make me freakin' swoon over how pretty it all is. I want him to kill everything or die trying. Hey man, I heart the hell out of the two as well! 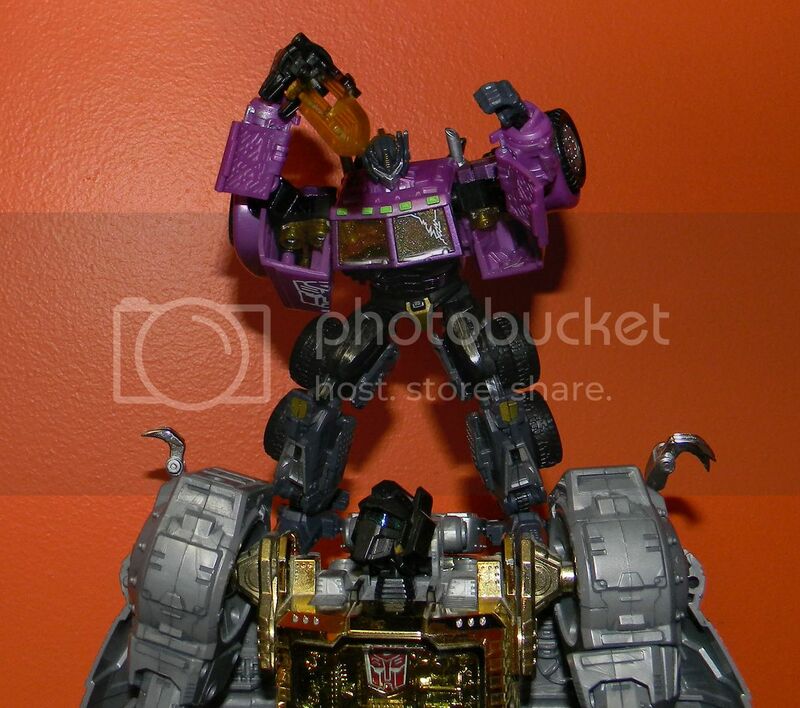 Optimus was well worth the money I paid (not to mention Kick-Off! ).